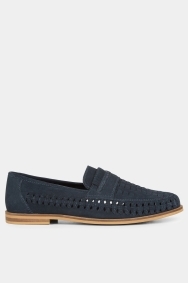 Slip-on shoes were first introduced as a mainstream item in the early 20th century. Offering a more relaxed take on smart shoes, they were often favoured for their promise of comfort. 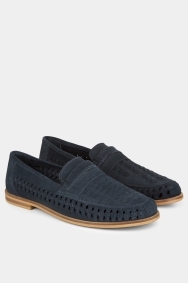 This Moss London pair makes slip-ons particularly laidback with their lattice design. 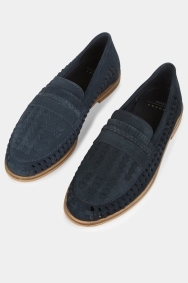 They’re ideal for pairing with smart shorts, turned-up trousers or rolled-up chinos.